This is Charlie Munger‘s famous talk at USC Business School in 1994 entitled A Lesson on Elementary Worldly Wisdom. 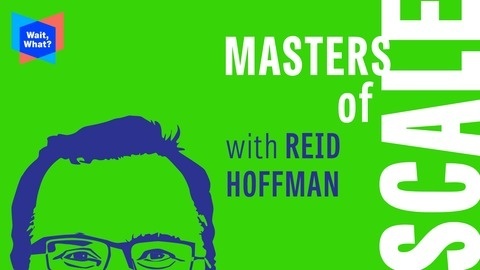 I found this episode on the Masters of Scale podcast incredibly insightful, with advice on dealing with rejection in business and what to do when you are convinced that you are onto a great idea. Enjoy! The best business ideas often seem laughable at first glance. So if you’re hearing a chorus of “No’s” it may actually be a good sign… Google, Facebook, LinkedIn, Airbnb — they all sounded crazy before they scaled spectacularly. So don’t be discouraged by rejection. Instead, learn to hear the nuance between the different kinds of “no.” That’s what Tristan Walker did. After stints at two successful startups, he launched out on his own with Walker & Company, makers of the Bevel razor — and learned to navigate the entrepreneurial minefield of investors who may or may not share your vision. I spent almost 2 weeks reading a 4 -part series on Elon Musk, Telsa, SpaceX and the goal of Getting to Mars, and First Principles Thinking on Wait But Why. The posts are from 2015, but are still relevant today given what we know about the success of Telsa and SpaceX. As I read through each post, I felt like I was going deeper and deeper into a rabbit hole of the importance of engineering, physics, and the need to solve the world’s biggest challenges. By the end, I felt myself asking why more companies aren’t trying to solve big problems and why governments aren’t taking the issues of climate change, population growth, and the probability of humanity being wiped out by a man-made or natural disaster seriously. I highly recommend reading the entire series for anyone interested in science, tech, engineering, and entreprenuership.